Storage is a purely American institution, but Thanksgiving is not. Although the tradition of Thanksgiving in our country stems from a celebration in Plymouth, Massachusetts in 1621, similar events are held in such countries as Korea and Germany, who also have a tradition of celebrating a successful harvest. Although the storage industry began in China, it is completely dominated by the U.S., which has more storage than all the other countries in the world combined – and by a wide margin. It’s also interesting to note that Thanksgiving is the one holiday that offers the least number of items to store – typically just a centerpiece for most Americans – so it doesn’t really help the storage industry like Christmas and Halloween. But probably the most important factor of Thanksgiving is the simply act of giving thanks for all the things we’ve received. In that vein, we’d like to take this opportunity to thank those who read this newsletter, have read our book and course, and do all that they do to further the storage industry. America is a scary place today. Industries collapse and layoffs number in the thousands on a constant basis. Economic cycles come and go with booms and busts that wipe out values and entire sectors (think the dot.com bust, the mortgage melt-down, etc.) So how can smart Americans create a safe-haven of financial independence inside the insanity and unpredictability of the modern economy? The answer is self-storage investing. But why is that a solution? One of the initial ways that a self-storage investment can be the bridge to financial independence is that it does not interfere with your current main source of income: your day job. Instead you can build an additional income stream and, at some point, even potentially quit your day job. But throughout the process, the storage investment gives you an edge on navigating your financial needs and contributes to your net income – it’s like having a night job without ever having to go to work. In building a strong economic base, you have to enlist the aid of sensible leverage. You cannot build something of any size – for most people – if you have to use all-cash. And the good news is that banks love storage. You can typically get a loan for 70% to 80% of value, and that allows you to leverage your investment dollars by 5 to 1 or so. But don’t ruin this idea by employing “crazy” borrowing, which we define as any LTV greater than 80%. The problem is that bank regulations run in cycles and if you borrow at 90% LTV there’s no guarantee that the bank will accept that when the note comes up for renewal. The safe haven in the U.S. has traditionally been 70% to 80% LTV. Storage has had some remarkable luck regarding its timing and positioning with the U.S. “megatrends” – huge trends that shape the world we live in. The biggest of these have been three: 1) the aging and downsizing of the Baby Boomers (those born between 1946 and 1964) 2) the upheaval in the U.S. employment and housing markets and 3) the never-ending love of Americans for materialism and amassing large quantities of “stuff”. These megatrends keep storage occupancy high throughout recessions, depressions and booms. And these are all long-lasting, with none of these trends expected to decline for at least next two decades. Sam Zell, the most successful real estate investor in U.S. history, has always said that you should “always buy when the risk is low and the reward is high, and never buy when the risk is high and the reward is low”. That’s the best advice you can put about real estate in one sentence. When you look at a storage facility, you should ask yourself what the risk to reward ratio is. This reduces your risk and makes your odds of success very high. “Chainsaw” Al Dunlap – the greatest corporate turn-around artist of the last century – used to say that the mantra of a successful business owner was “sell, sell, sell and cut, cut, cut”. So your mission as a storage owner should be to understand what the drivers are to profitability and ramp them up to the highest level. Remember that, as a business owner, every dollar that you make goes straight into your pocket. If you really want to build financial security, then it’s important to never put what you’ve built at risk. Ever. Smart owners stay on top of what they own perpetually. Not by being there, but by creating management systems and monitoring them a few minutes every day. Since self-storage is a simple business, the systems you need are easy to understand and your progress – or failure – is quick to acknowledge and fix. The benefits to owning your own business are well known and include 1) financial freedom 2) the ability to set your own hours 3) answering to no one except yourself 4) the ability to build assets for your descendants 5) you keep everything that you make 6) the feeling of self-satisfaction in building something of value. Some of these are actually more important than money. 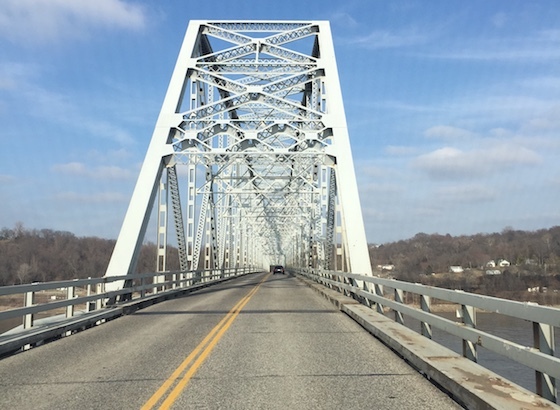 Buying a self-storage facility can be a bridge to financial freedom and gaining control over your life in an unpredictable America. It’s not a “get rich quick scheme” but a sensible investment that harnesses the power of America’s megatrends. And it has changed many investor’s lives for the better. Have you ever walked around a midway and noticed that some people are walking around carrying the huge stuffed animals, and others have nothing to show but a tiny one. If you really analyze what’s going on, you’ll realize that the lessons learned from winning at the carnival have great parallels to successful self-storage investing. If you want to win the big stuffed animal, the first thing you have to do is assess your strengths and weaknesses. On the midway, those would be skills like throwing a ball or firing a gun. In self-storage investing that would be your initial capital to invest, the time you have to help manage the deal, and your skill set. Before you play any game on the midway, you should first stand there and watch what happens for other people who are already playing. See how they do, see how close they come to winning. 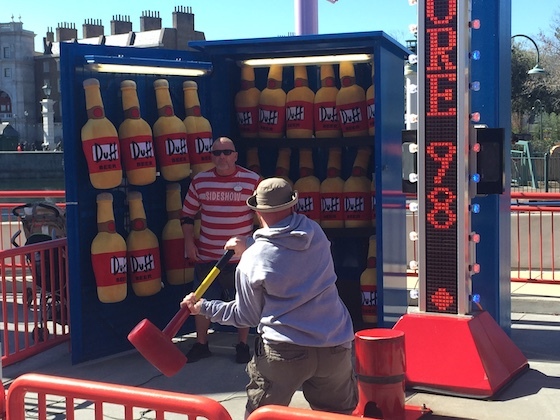 You’ll notice that some games at the carnival are so impossible that nobody even comes close (such as the milk bottle game) while others are almost always near misses (like shooting a target). Learning from the experience of others is just plain smart. With self-storage, you can see what’s worked (Public Storage) and what hasn’t (those facilities that are in the bank foreclosure list). Once you’ve chosen the carnival game that has the best match with your skill set and has proven successful for others, you should then assess how many attempts you will need to win. The same is true of a storage facility. Once you’ve figured out the type of storage facility to buy, and how much capital you have the down payment, the next step is to realize that the more potential deals you look at, the better your odds of finding the right one to buy. This step has the closest parallel to winning at the carnival – those who win are the ones that are the most persistent. If winning was easy, then they would not give out those huge stuffed animals. And the ones that walk home with the big prize are those that hang in there and never quit. Over the past three decades, we have learned that the real difference between those who buy good deals and those who fail in that endeavor is in direct proportion to the sheer number of deals they look at. Carnival games are a great metaphor for buying self-storage properties. You can learn a lot of from the midway that directly relates to your acquisition strategy. The only difference is the size of the prize. We have been buying storage for over two decades and one of the biggest lessons we have learned is the necessity of “win/win” negotiating. We honestly think that there is no other strategy that works if you want to buy properties that are of sufficient quality to be investment grade. So why does it work? Let’s first start off with an explanation of what “win/win” is. Essentially, it’s the situation where the buyer and seller both get a good deal and are mutually happy with the outcome. This is the polar opposite of “win/lose” negotiating, where one party always feels cheated. So why is “win/win” the only form of negotiating that works when buying storage facilities? The reason is simple: you can’t push wealthy people around. The typical buyer out there has large assets and no debt. They don’t need you and they don’t need your money. So the only way to succeed is to make selling attractive to them, by giving them a solid price and a pleasant demeanor. If you think you can push people around and make good deals happen with a “win/lose” strategy, then you will only be able to buy poor quality properties from people who are dying with them – poor locations, poor occupancy and the like. So if “win/win” is the way to go, then how do you do it? The key is to think about the transaction from the viewpoint of the seller, not the buyer. Would you sell at those price and terms if you owned the property? Think “consultative” in your approach and pretend that you are an agent of the seller who wants what’s best for them. When you communicate to the seller that you have their back, they will reciprocate and the process is in full swing. The only time you can use a “win/lose” strategy effectively is when you are buying a non-performing property from a bank that has either foreclosed on it or is on that path. In that case, the seller has a sense of urgency and is not patient and happy. In addition, most banks are not going to reciprocate and look out for your interests, instead working on a “dog eat dog” basis. If you want to buy quality properties, you have to use a “win/win” approach. You can’t push wealthy owners around and they know it. Have a “team” attitude and you’ll do much better than those who think that “win/lose” – which is featured in most books on negotiating – is the better path. Have you ever noticed that there are virtually no black and white photos storage facilities out there? The reason is that the advent of the industry does not date back very far before the invention of color photography. The first true storage facility in the U.S. was built in and was called Lauderdale Storage, and was located in Fort Lauderdale. The first storage chain began in Texas in the 1960s. 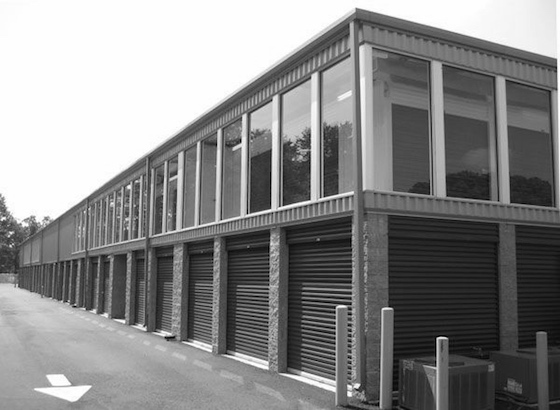 Modern storage facilities grew at a very slow rate through the 1990s. But that ended in 2000, at which time the industry grew at a pace of around 3,000 new facilities per year, ending in 2007 with the dawn of the Great Recession. So if you’ve wondered why you never see any nostalgic black-and-white photos of the self-storage industry, the simple answer is that it’s not old enough. It’s the youngest asset class in real estate.